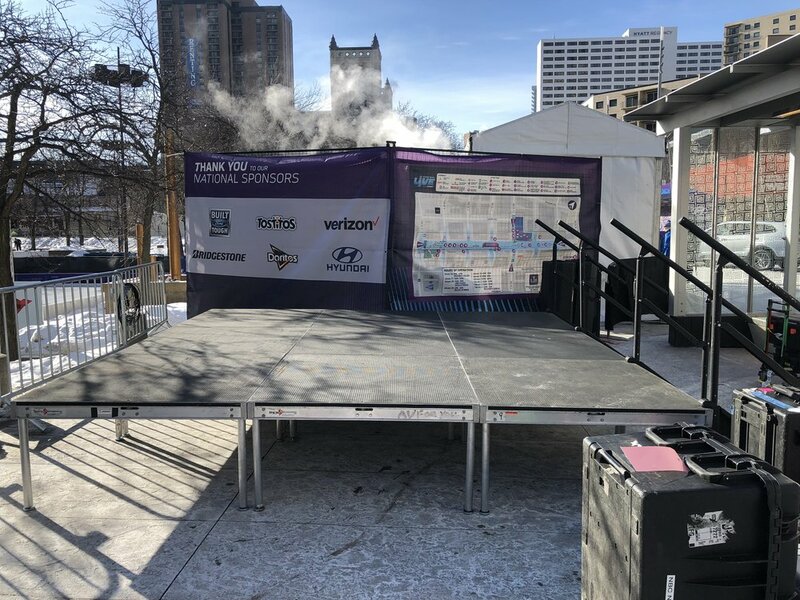 AV for You provided Staging for the MSNBC camera crew at Nicollet Mall during Super Bowl Live events. We set up a 12’ x 12’ stage using nine 4’ x 4’ stage deck sections. The stage was constructed to be at 24” height using our stage deck legs. We also set up two Stage steps with railings.